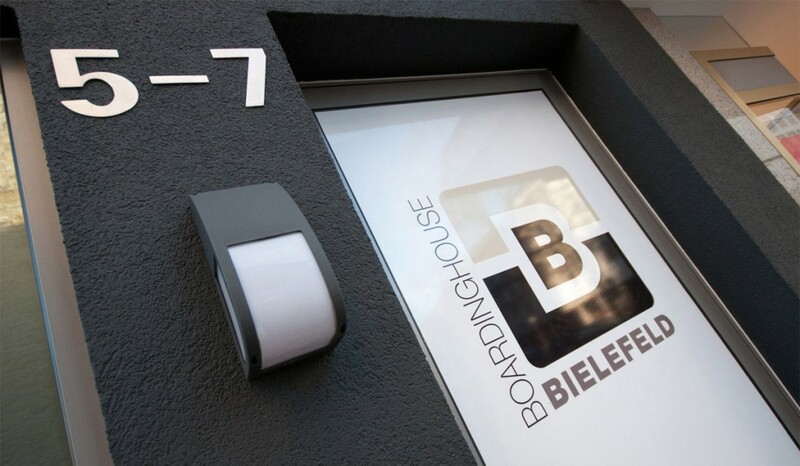 The Boardinghouse Bielefeld – your home from home! If you travel, ……. you want to be able to do the things you always do! Our Boardinghouse Bielefeld is designed to make you feel at home from the moment you put down your bags. No matter if you stay for a few days or for several month, no matter if you are here for business or leisure reasons. Cook, work and rest Everything is possible with our combination of furnished apartments, fully equipped kitchen, modern bathroom and hotelservices providing whatever you need. The environment …is quiet and clean because we are directly in the pedestrian zone, but –no worries- we have space for your car at the hotel’s own parking deck or at the underground car park right behind our building. Our service …includes weekly cleaning and linen change, free WiFi, in-house washing and dryer coin machines, inhouse mailboxes …..and of course our team remain at your disposal should you need us. … the luxury of a hotel with the convenience of your own apartment.